For those who brave the wasteland, it's not easy finding a bull bar that can keep up. Extreme temperatures, moisture and road salt are all waiting to turn your front end into nothing but a pile of rust. For such individuals, the Aries 3 inch Stealth bull bar was designed, finished and tested to outlast harsh climates. Unlike most bull bars that come with a black finish, the Stealth bull bar is made with stainless steel instead of carbon steel. A stainless steel construction maintains reliable strength and offers the high rust resistance needed to keep going season after season. 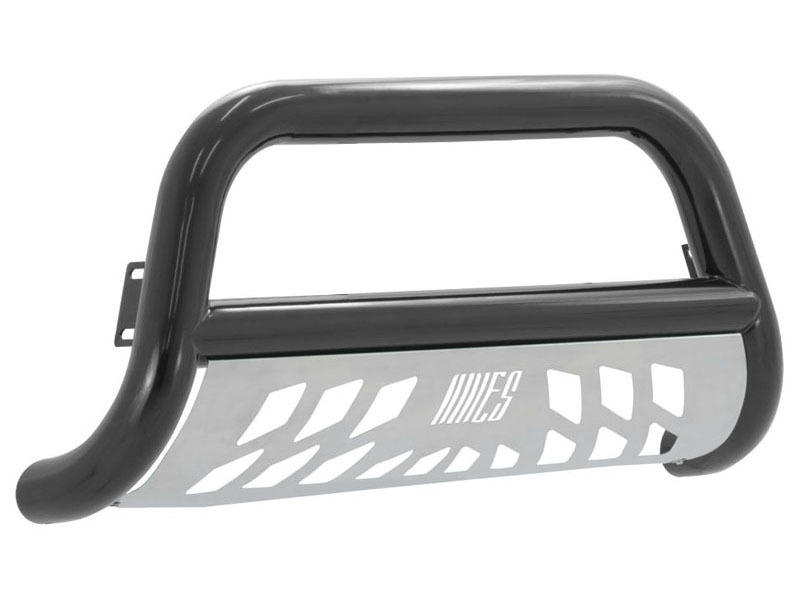 To add even more protection against elements, the Stealth bull bar is shielded in a high-gloss black powder coat. This polyester-based finish gives the stainless steel frame a thick skin to further resist rust and changing temperatures. We also put our Stealth bull bars through a rigorous salt spray test -- the most rigorous in the industry -- to prove this front end accessory can endure whatever the wilderness has in store. With its high resilience to salt and extreme temperatures, the Stealth bull bar provides a reliable black finish option, as an alternative to the polished stainless steel look. 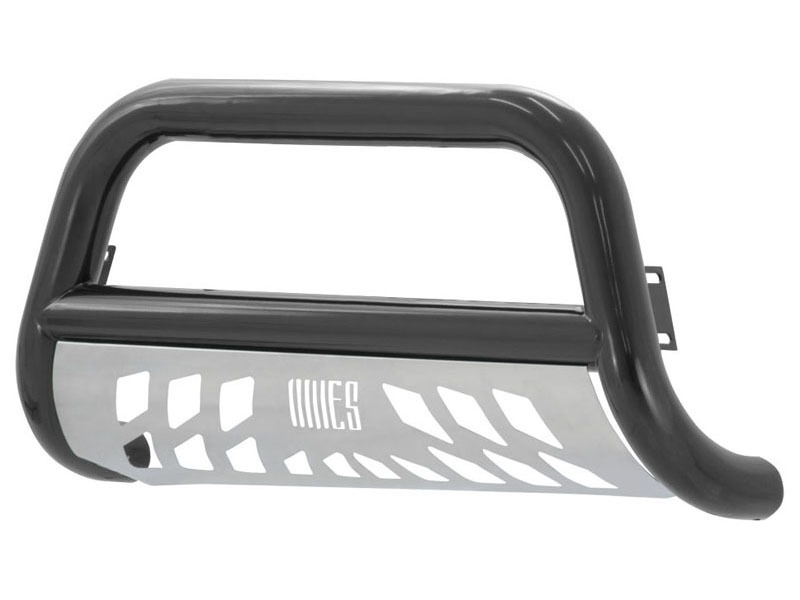 All Stealth bull bars are made vehicle-specific for a no-drill, custom fit, and they come with a removable brushed 304 stainless steel skid plate to protect against rocks and other small road debris. 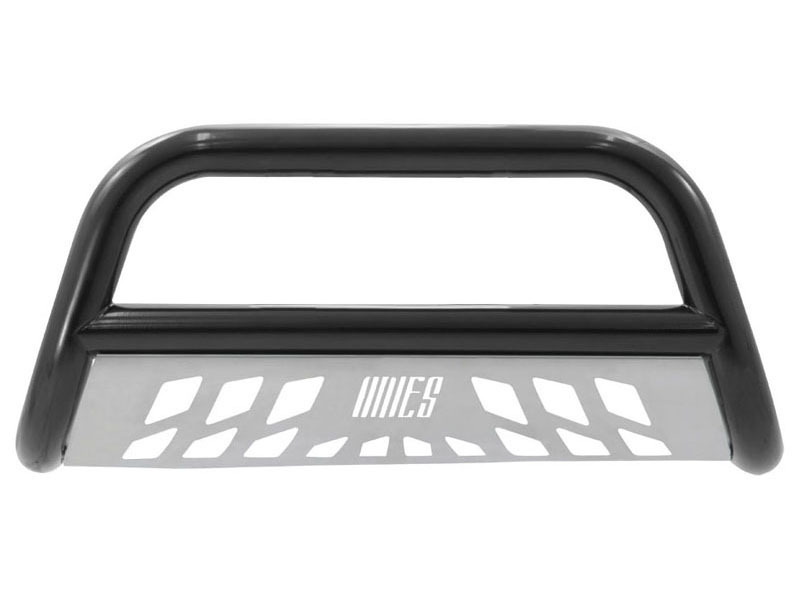 Like our other 3 inch bull bars, Aries Stealth bull bars also come with two pre-drilled holes in the crossbar to accept round lights up to 5 1/2 inch in diameter or an LED light bar. It might not be an easy life in the wasteland, but why should that limit your choice of truck accessories? For the black finish option your truck deserves and the quality you expect, choose the Aries 3 inch Stealth bull bar.